There are so many restaurants in Paris, choosing where to eat can sometimes seem like a bit of gamble. You want to get value for money from every travel dollar, while at the same time finding something authentic and yummy. And you absolutely want to avoid tourist traps. As a result, I’m always on the lookout for restaurant recommendations that suit both our tastes and our budget. It turns out that choosing to eat at La Gare was an excellent decision on every front. I found La Gare via Messy Nessy Chic. And given Scott’s love of all things train related, a restaurant housed in a disused railway station on the abandoned Petite Ceinture line simply couldn’t be ignored. La Gare is home to two separate eating spaces – an upstairs café in the former station building which serves light and tasty lunchtime fare – croque monsieur, steak tartare and the like – and the restaurant itself. The more formal (but still relaxed) restaurant is downstairs, with tables set up on what were once platforms and tracks. 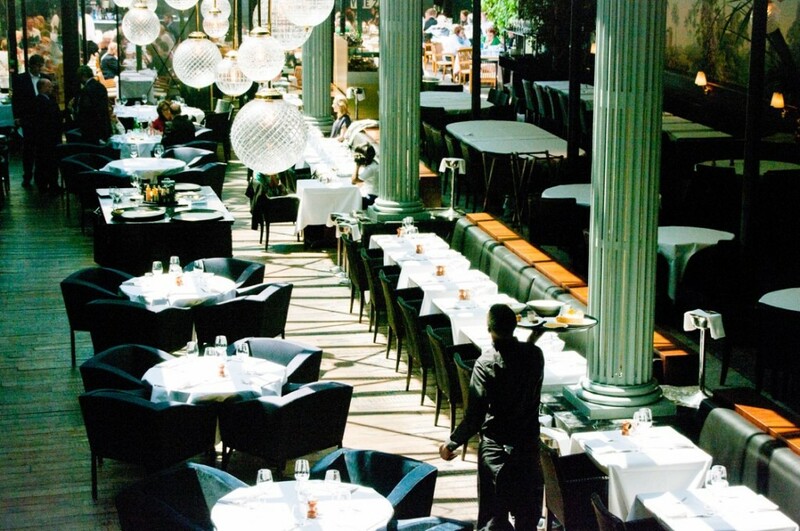 The food here features all your French favourites, served with a modern twist. Since we discovered La Gare, I’ve been seeing lots of shots of the restaurant on Instagram. I can certainly understand why it is so popular with Parisians. The food was simply excellent. In fact, it was so good we ended up eating lunch there twice (once in the restaurant and once in the café) during our recent stay in Paris. When visiting the restaurant, we chose to eat from the lunch menu which offered entrée, main and dessert for 29 euro. Given the quality of the meals it delivered excellent value for money. If they happen to be serving the tarte fine, you should certainly be tempted. On the day we visited it comprised perfectly crisp pastry topped with slightly caramelised onion, piquant chorizo and creamy goat’s cheese – and I’m sure any other combinations would be equally as yummy! I have a funny feeling that we were the only English speakers at La Gare on the days we visited. This is unsurprising, given the fact that La Gare is located in the 16th arrondissement, well away from the usual tourist haunts. We were very happy to be surrounded by Parisian business people and some super chic ladies lunching. You can imagine how excited I was by all the people watching opportunities! The staff also put on quite a show. Not only were they friendly and helpful but their service was excellent. And watching the speed at which they ferry the plates around the restaurant was extremely entertaining. Definitely a meal and a show at La Gare. Reservations were easily made on line, with the booking system opening up one month in advance. I definitely recommend booking – particularly for the restaurant, which was very busy on both the days we ate at La Gare. The dress code for both the restaurant and the cafe was as you’d expect in Paris – very smart casual, verging on dressy casual (it was warm when we visited, so many of the ladies were in dresses, with most of the men were wearing collared shirts). If La Gare sounds like place you’d like to try, you’ll find it at 19 chaussée de la Muette, just a few short steps from the La Muette Métro stop. 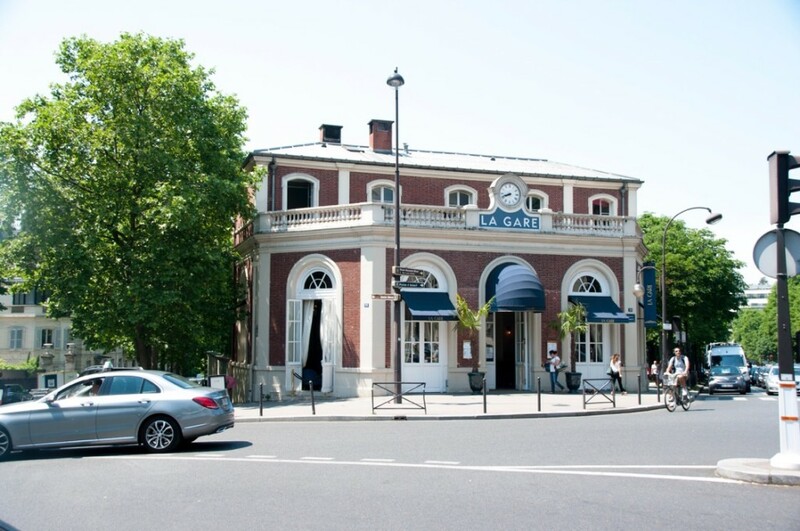 Have you eaten at La Gare? I’d love to hear your thoughts. I’d also for love you to share any restaurant recommendations you might have for Paris – I’m always keen to try new places while I’m there. PS. If you are keen to walk some of the Petite Ceinture you’ll find a section of it just behind the restaurant. Unlike the section in the 15th arrondissement this section has not been cleared, rather it has been established as a nature walk with a little interpretive signage along the way.